10 Tips For Attracting A Pisces Man - Make Him Yours For Good! Ready to get your feet wet with your simply soulful Pisces crush? If you’ve been eyeing that sensual Pisces guy for a while, then read on these 10 tips that will help you to land the catch of your dreams! It’s not difficult to be attracted to a Pisces man—his sensitive soul, his dreamy sensibilities, his creative streak, and his compassionate heart are all the stuff fairytale romances are made of. However, like all good catches, the Pisces man is a unique creature, which requires some skillful angling to bait and lure. The son of Neptune, ruler of the seas, guardian of all of the wonders below the surface and his children who dwell there, the Pisces man is a truly an otherworldly and detached type. As a water sign, he is extremely sensitive with a strong need for security and a deep need to escape the mundane tedium of the world through flights of fantasy and creative expression. Catching the Pisces man will require a gentle and caring approach, a taste for the fantastic, and above all, a caring heart. Fortunately, even if you’re no skilled Piscator these 10 tips are sure to increase your chances of success while trying to attract your Pisces man. I’ve you’re not experienced with sensitive men, you’d better start reading some Nicholas Sparks novels because courting a Pisces man can be an emotional tour de force at times. Remember that although he is a beautiful and sensitive creature, he is deeply insecure in himself. He will need your constant love and reassurance if he is going to stay with you. Take the time to listen to his needs and support him emotionally, no matter how needy or delicate he may seem when the waterworks start to come on. Pisces men need a rock in a partner, so be ready to provide them with the strength they need to weather their internal storms. To say the Pisces man has a rich imagination is an understatement. Whenever his workaday life is done, he escapes to his castle in the clouds—his preferred reality, every bit as rich as a Tolkien tale. The dreamy Pisces man can have a practical lover, in fact, oftentimes such partnerships can be incredibly successful. However, the partner of any Pisces must take care to tend to his garden of imagination. Escapism through art, music, film, or other creative hobbies are the essential part of Piscean existence. If they become afflicted, or cannot have healthy outlets for their imagination, they will turn to unhealthy escapism in the form of drugs, alcohol, and other viciously addictive outlets. Dating a Pisces is the perfect excuse to explore your own fantasies and unconscious dream worlds that you’ve never dared or cared to visit before. If you can indulge both of your fantasies simultaneously, this is all the better of course, but make sure you don’t shoot down his flights of fancy if you want to keep him around for the long term. Pisces men appreciate loose clothing with a medieval, robin-hoody, New-Age type of feel. The more elegant, imaginative and comfortable fitting, the better to satiate his hunger for the ethereal! For dates, presents, special occasions and evenings in, hit up your local Renaissance fair or New Age shop to get some costume ideas. He’ll definitely appreciate the efforts and take notice of your new aesthetic! Pisces are among the most truly romantic of all of the zodiac signs, and Pisces men are absolutely not an exception to this rule. If it seems like something too corny and cheesy to possibly win the heart of any human being in 2018, chances are your Pisces man will love it. When it comes to all things romantic, Pisceans prefer chivalrous traditions, courtly love, and rom-com tropes to keep the flames of love burning bright. Make every meeting seem like your first date. You’ll need to always keep flowers, chocolates, candles, creative and thoughtful sweet-nothings, and plenty of tissues on hand during your Pisces courtship. You’ll be constantly in need of them! 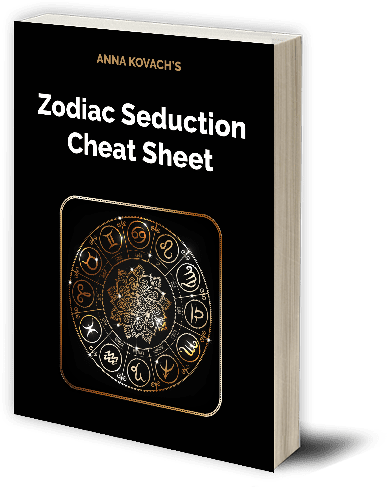 If you’re making him swoon (a frequent occurrence of the smitten Pisces man) rest assured your strategy is effective! Piscean men are extremely emotionally sensitive, maybe even more than you are, and certainly more than most men you’ve ever dated before. The hard to get, a tough-gal approach will likely intimidate them and get you no-where with Pisces men. Pisces men are emotional reservoirs of depth and feeling and need the same from their partner. You’ll have to handle them with kid gloves, as these men will be very easy to hurt, even when you don’t intend to do so. Make sure you are conscientious as to how they will respond to every word and action you direct towards them and others. Especially be mindful of being kind to others, because Pisces men will see a reflection of your inner self in the way you treat others as well! Take some anger management or sensitivity training if you must, but you’ve got to be prepared to open your heart up and trim off the thorns if you want to win a Pisces man. Ever the dreamers, Pisces men are escapists at heart and love to enjoy art, music, literature, and film. There is no more ideal date for a Pisces man than an art museum, a new installation at your local gallery, a trip to a local film festival, or any classical or contemporary music venue. Of course, what good is a romantic artistic outing without an equally interested partner to experience it with? Be sure to brush up on your art, cinema and music history, and make an effort to check out who is who in your local scene. If things go well between you and your Pisces man, you’ll be returning several times! For the really ambitious and creative among you, you can always hone your artistic craft yourself. Take some painting lessons, dance classes, or learn how to play a musical instrument if you really want to have them head over heels! Art is the way to a Piscean heart, so hit the canvas, books, or your local indie film cinema to get the creative juices of love flowing! A mutable sign, Pisces people are never attracted to extremes in either direction and tend to ebb and flow on a variety of issues that others may have very strong opinions on. Piscean people need a partner that is not going to be quick to pass judgment on those with different opinions or viewpoints, especially ones that contradict or counter what they themselves believe. It is against the easygoing nature of the Pisces man to engage himself in argumentative or heated debates. The best way to maintain a peaceful environment and keep your Pisces man happy is to keep an open mind about you and keep conversations pleasant, dialectical, and discursive affairs rather than fierce, intense and heated debates. This will ensure that your Pisces man stays comfortable and at peace with you on the mental plane. Pisces people are always looking for their soul mate, their sleeping beauty, their prince or princess charming, their fairytale ending. They are always looking for long-term, and while the hook-up life may be a phase they go through, ultimately they are always looking for “the one” to settle down with. It is more trouble than it would be worth to pursue a Pisces for a fling or a one night stand—and why would you want to? Who would want to pass up the opportunity to land such a sweet, sensitive and artistic partner? Piscean men are also extremely loyal to their loved ones, so make sure that you don’t come off as flakey, lest your Pisces man start to get ideas that you are abusing his steadfastness. If a Pisces man has caught your attention, chase after him whole-heartedly and don’t play games with his heart! He’s a delicate creature and want’s you for the long run! Pisces men, as we’ve already established are definitely not your typical macho man. They feel deeply, they emote passionately, and definitely are ok with finding some release through a good cry. Although he is definitely a romantic, and will certainly make you swoon from time to time, he is definitely not going to be the assertive one in the relationship. He’ll appreciate it, and even take it as a sign of your loyalty and interest in him, if you do much of the decision making for him. Of course, it won’t be one-sided like this all the time, but doing a bit of date planning, calling the shots with regard to where you eat and planning out some nice weekend getaways or after-hours activities can go a long way towards cementing you firmly in his heart. If you’re a naturally dominant person but have butted heads in the past with power struggles in relationships, the Pisces man might just be an ideal partner for you. If you’re naturally a submissive person, this can likewise be a golden opportunity to find a partnership that you can comfortably take some charge in! At any rate, with a sensitive Pisces man, you now have the chance to take a bit of charge, so don’t be afraid to be dominant—he’ll enjoy it! Just remember not to be hard on him! It may sound a bit cheesy, but the Pisces man is ultimately looking for a best friend of his lover. He wants a soul mate, a life partner, not someone to complete him, rather an individual with whom he can explore the world and plumb the depths of the collective unconscious together. This companionate love is the hallmark of a relationship with a Pisces and something that not all individuals are ready to handle, but it can certainly be the relationship of a lifetime for those who are open to such partnerships. It can be a lovely, holistic union, but it can, of course, have its moments of intensity and passion. If you’re going to walk the path of life with a Pisces partner by your side buckle up (and bring plenty of tissues) because the laughter, the tears, the heartache, the joy, the fantasy, and the plain old mental detachment you’ll both have to endure will certainly be of epic proportions. However, like all good fairy-tales (and a Pisces romance is just that—make no mistake) with a little help, some positive energy, and some old-fashioned good luck, the ending will undoubtedly be a happy one—until you hurt his feelings again, that is! Piscean men, true to their namesake, are quite the catch for those who appreciate a sensitive, psychic, soulful and emotional partner with whom they can share every aspect of their lives. Of course, the Pisces man, with his frequent indecisiveness, easygoing nature, romanticism, and penchant for tears is not the right partner for everyone. His partner will have to tone down their aggression and anger, open their mind up, and be willing to embrace the fantastic elements of life that might make the more pragmatic of the zodiac signs cringe. However, for those who have been seeking a fairytale romance hitherto fruitlessly, a Pisces man is definitely worth the time to get to know. Having now plumbed the depths of your Pisces man’s innermost desires, and loaded up your tackle-box with our 10 handy tips, it’s time to test the waters, hang up your “Gone Fishing” sign, and go land the Pisces man of your dreams! PreviousPrevious post:10 Tips For Attracting A Sagittarius Man - Make Him Yours For Good!